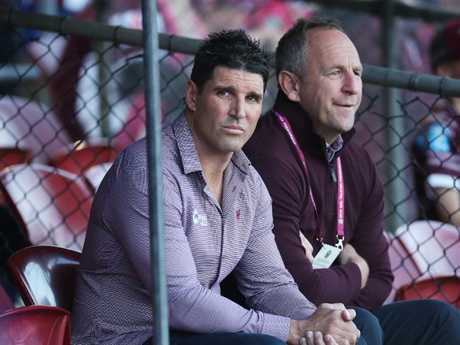 TRENT Barrett has dropped an explosive bombshell on Manly with the coach set to walk away at season's end, according to The Daily Telegraph. The Sea Eagles currently sit 12th on the NRL ladder and have struggled all season long and it seems Barrett has had enough of the lacklustre performances. This comes despite the club claiming the 18-6 victory over the Canterbury Bulldogs at Brookvale Oval, snapping a six game losing streak at the venue. Barrett extended his contract with the Sea Eagles in late 2017 in a deal which would keep him tied to the club until 2020, but he's reportedly unhappy with the club's lack of resources and in July gave the club 12 months notice. "He has quit," Paul Kent said on NRL 360. "He will quit at the end of the season, so there's three games left for Trent Barrett at Manly." "The story over the weekend that he'd sent a letter to the Manly Sea Eagles saying if they don't come into play with a couple of promises that they'd made when he extended his deal last year, that he would look at resigning, in fact it was a resignation and it's going to be taken into account and dealt with over the off-season." Manly players expected Barrett to stick around and believed he was doing all he could to improve the struggling club. Players said on Tuesday he gave them every indication he was on board at least until his contract expires at the end of 2020. "He's here for the next couple of years. Baz is a great coach, the players love him and we'd love to have him around," said veteran Trent Hodkinson. "I'm sure it will all work itself out." Trent Barrett’s time in Manly is coming to an end. Dylan Walker repeatedly diverted questions about Barrett's coaching future back to Friday's clash with Gold Coast when the 12th-placed Sea Eagles will seek a third consecutive win for the first time this season "I don't know if that's (that Barrett has told the club that he wants to leave) truly the case," Walker said. "There's reports about it but, as far as I know, he's as committed as I've ever seen him here. "He just wants the best resources for us, and that's just a coach that cares." Forward Frank Winterstein said the players had "full faith" that Barrett would stay. 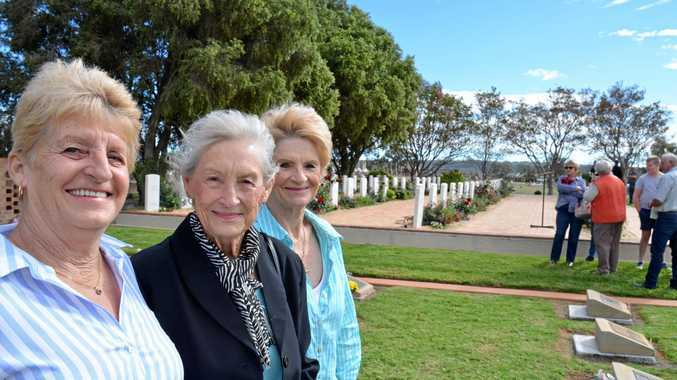 "He's always looking after the players first," Winterstein said. "There's possibly a few things around here that could be improved, so hopefully we do get it done." His decision to walk away from the club comes at an intriguing time with the Penrith Panthers also under a coaching crisis. Despite Phil Gould continually denying Barrett is coming to Penrith, the shock call to step away from Manly will only fuel speculation. He'll now join the ever growing list of big names around the league who will be linked to the role. Current Brisbane Broncos coach Wayne Bennett's tenure looks set to end after the 2018 season and he's been linked to both Penrith and St George. Ivan Clearly has also been named as a potential replacement for the recently sacked Anthony Griffin, although he stated he intends to see out his contract with the Wests Tigers. With the Sea Eagles still a viable chance of claiming the NRL's wooden spoon, Barrett has made the decision to jump off the sinking ship. He had threatened to walk out only last week after a season in which the club has lurched from one crisis to the next.